We offer classes Monday through Thursday & on Saturday. Our preschool classes are offered afternoons and evenings. All of our other classes are offered after school with classes at 3:30, 4:30, 5:30, 6:30 and 7:30. Preschool classes are structured to enhance learning and coordination to prepare them for future physical activities, not “run wild, learn nothing, babysitter classes”. Stacey Reynolds is our preschool director, and brings with her the most experience in preschool gymnastics than any other facility in North Florida. There is no other facility that can come close to teaching basic eye hand: foot coordination and motor skill development than us. comparing us to other facilities is like comparing apples to oranges… they don’t even come close! 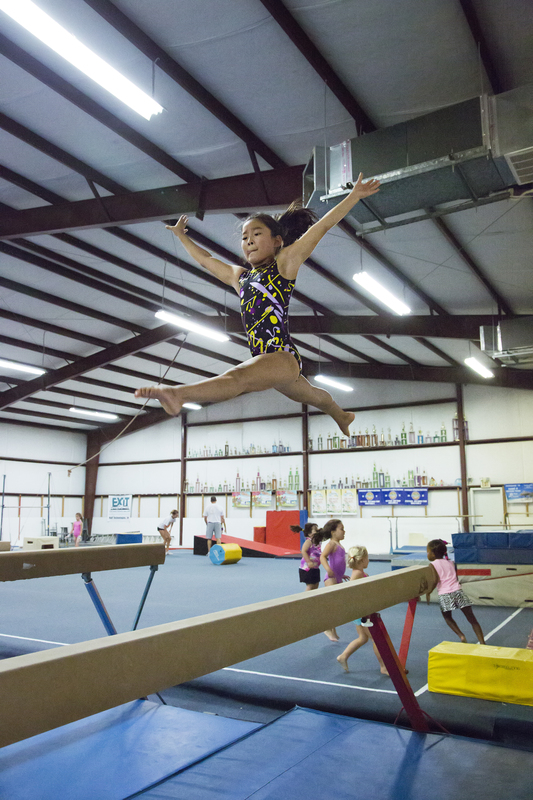 Our recreational gymnastics classes are for children ages 6 to 18. 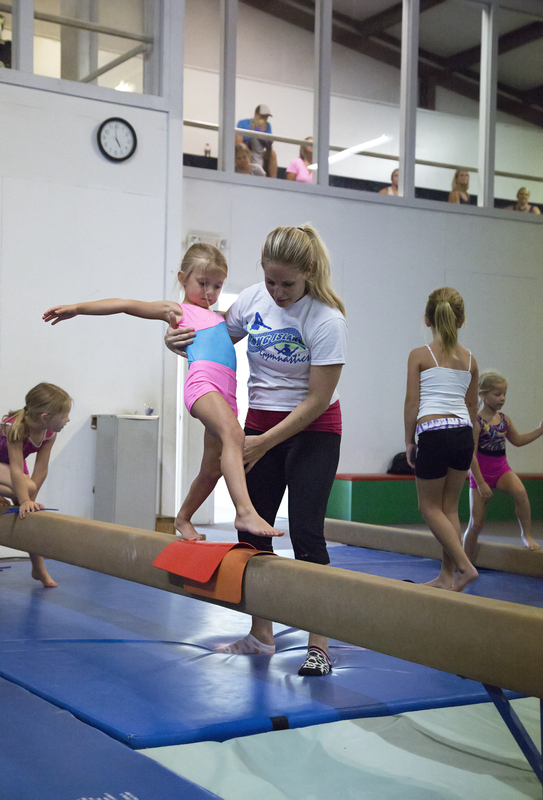 Our main goal is for the children to have fun while learning basic gymnastics. All the artistic gymnastic events are worked on, along with work on the trampoline, min trampoline and the in ground pit. 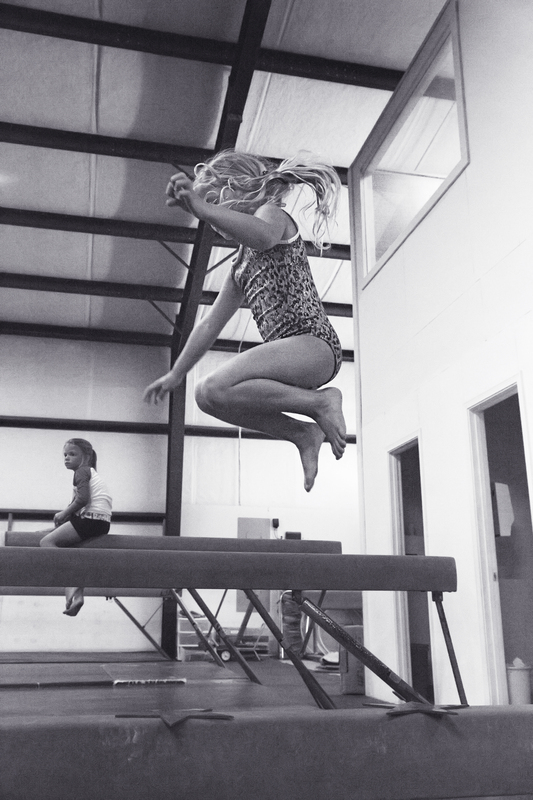 We have recreational classes for children who have no desire of being a competitive gymnast. We want them to be able to take gymnastics just for the fun and physical activity of it, although the option to convert to a competitive gymnast is always open! Our competitive programs range from beginning levels up to the most advanced. We have produced State, Regional, and National Champions. Our advanced team competes at some of the nations most prestigious invitations and has attained national recognition. We are the only club in Florida that has had the same head coach for the past 10 years giving our gymnasts the much needed consistency in their training.Our teams are registered and compete with AAU Gymnastics. We also offer a cheerleading tumbling class. Because of the competitiveness associated with cheerleading these days, more and more gymnastic skills are required to even be able to try out. These classes are designed to work on such skills as front and back walkovers, front and back handsprings, round off back handspring, back flips and side aerials. We have cheerleaders from all over the city of Jacksonville, Orange Park, Fleming Island and Green Cove Springs who come to us for help on their tumbling skills. Some of our past students have gone on to Florida, Vanderbilt, Mississippi, and FSU as cheerleaders.